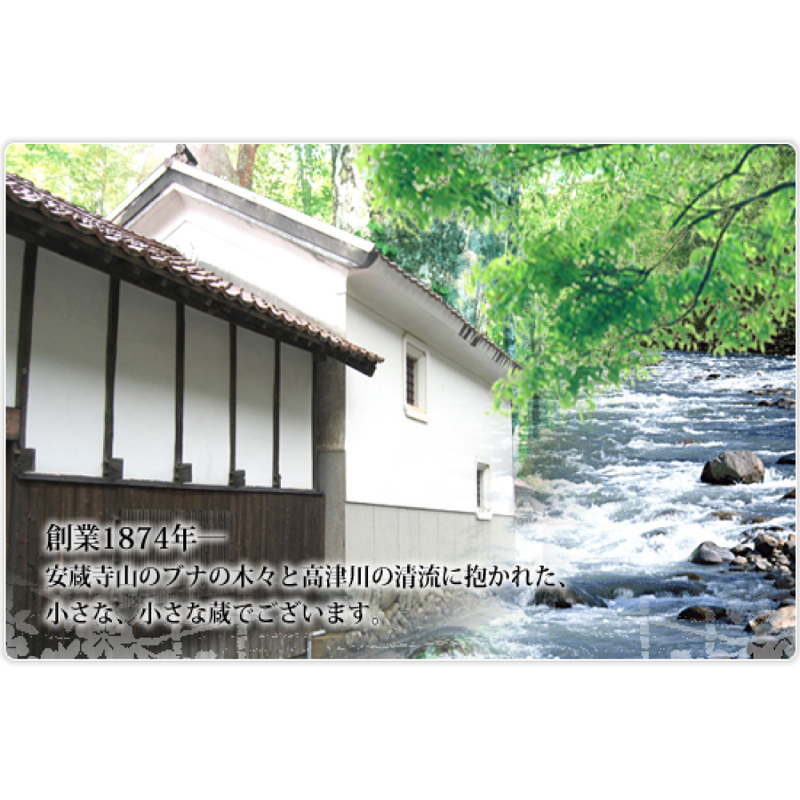 A small brewery, located in Tsuwano, a peaceful place full of nature where Takatsu river runs through and far off the tourist spot famous as the birthplace of Ogai Mori and Amane Nishi. Since our establishment in 1874, we have strived to offer sake that would best match our local ingredients. A tasty and splendid junmai ginjo-shu, which suits the dish prepared using ayu from Takatsu river.